At all times, astronauts live aboard the International Space Station (ISS). They carry out their daily activities working in a zero gravity habitat orbiting Earth, while their lives are in the hands of a ground crew hundreds of miles below them back on the ground. These “professional problem solvers” monitor everything happening inside and outside of the walls protecting the astronauts, 24 hours a day, ready to take action on a moment’s notice. 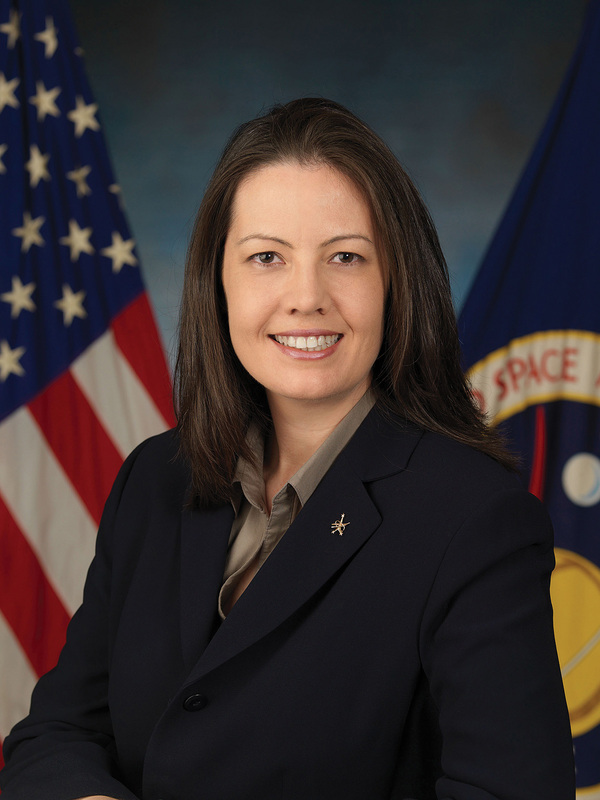 Emily Nelson is a flight director out of NASA’s Johnson Space Center in Houston, Texas. 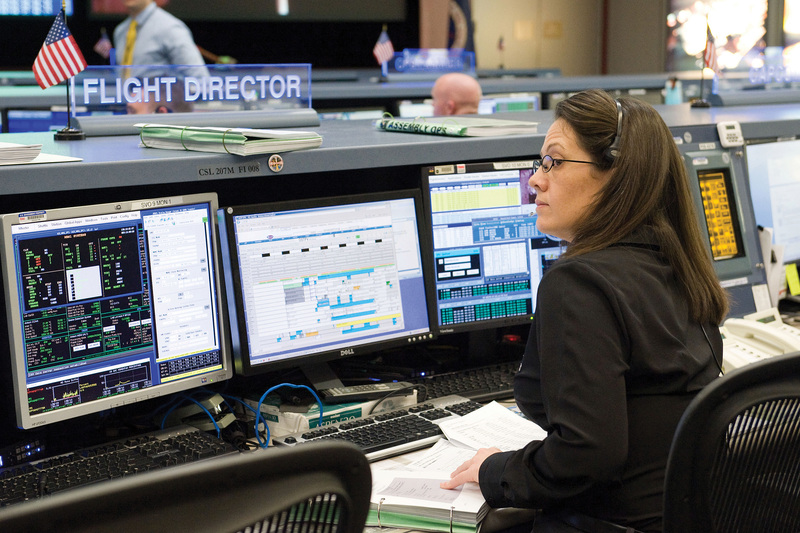 She is one of several flight directors in charge of the different duties crucial to the success of each mission. Every day she runs through a whirlwind of job duties that all lead to one ultimate goal – to ensure the safety of the crew and the success of their mission. She painted a picture of her day-to-day activities for me with a level of enthusiasm that clearly indicated the passion she possesses for her role. After learning the characteristics that a strong candidate for flight director must have, I realized why she was one of the people NASA chose to fulfill this critical role. Q: Tell me about your educational background and the path you took to become a Flight Director. Q: What are the general requirements and duties of your position? What exactly does a Flight Director do? Nelson: “There are a number of us that manage the different aspects of space station operations. The duty that people are most familiar with is running the flight control team. They ensure the safety of the crew, vehicle, and mission objectives. Everything else stems from that – ensuring safety. There ends up being a number of smaller tasks we oversee and do, and in practice, we’ve got a number of us that are working on missions that will occur in the future. We are either prepping for future missions, or overseeing mission control. One of us will monitor mission control at all times for space station operations. That is an around the clock job because there are always crew members living on the International Space Station, therefore a flight director is always responsible for the mission being executed. For example, I was the flight director in charge of Suni William’s crew, which included Yuri Malenchenko, and Aki Hoshide. Q: What is a typical day like in your position? Nelson: “While you are the person responsible overall for the current mission, there is a much wider community of people outside of operations involved in supporting spaceflight; these people meet every single day. The lead flight director (my position during Suni’s mission) is in these meetings as well, to keep everyone on the same page as to what is happening on the vehicle and the mission progress. The space station has been in orbit for tens of years, if someone has an idea or an issue, then discussions are held in these forums. There are several other organizations that participate in these meetings. There is an engineer doing “Apollo 13 style operations” – watching data coming from the vehicle and responding the data. You know the scene in Apollo 13 where they bring in a team of people to fix things? Well, those people make up the Engineering Support Team. They work in the M.E.R. – Mission Evaluation Room – directly under the space station program. They have all the historical data and access to vendors and companies around the country that produce hardware. To figure out problems, they can contact the vendors and get the details they need to solve a problem; we work with them on a regular basis. Next, there is a management team who is responsible for deciding what the mission will be, what will be accomplished and how the priorities will be organized. Prioritizing is a necessity because the lab is an ongoing operation that has been running for years. Once these plans are laid out, the operations team will execute them based on the priorities set, doing what fits in the time allowed. Q: Do you interact directly with our international partners who have crew on the International Space Station? Nelson: “The meetings I just described are only made up of NASA staff meeting a few times a week. In addition to that, we have an international team that meets twice a week to make formal agreements and have discussions that are important to the entire partnership. There are representatives from the Japanese Aerospace Exploration Agency (JAXA), European Space Agency (ESA), Canadian Space Agency (CSA), Russian Space Agency (RSA) and NASA, to name a few. Q: What is it like to be a woman in a field like this? Are you treated differently? Nelson: “Honestly, I do not notice it a whole lot. I was at a Science and Math magnet for high school. By the time I was out of engineering school, I was already used to working in a male dominated field. It might even be hard to work in a female dominated field because I am used to this now. 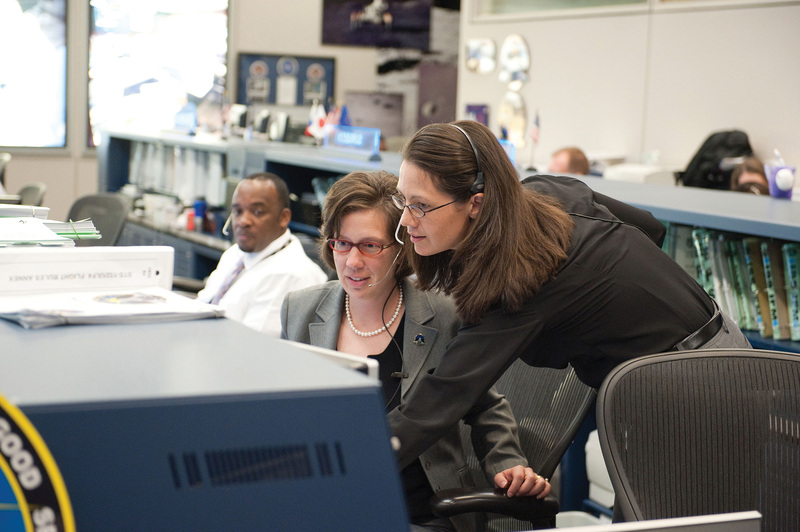 There are probably more women in mission control than most people would assume. 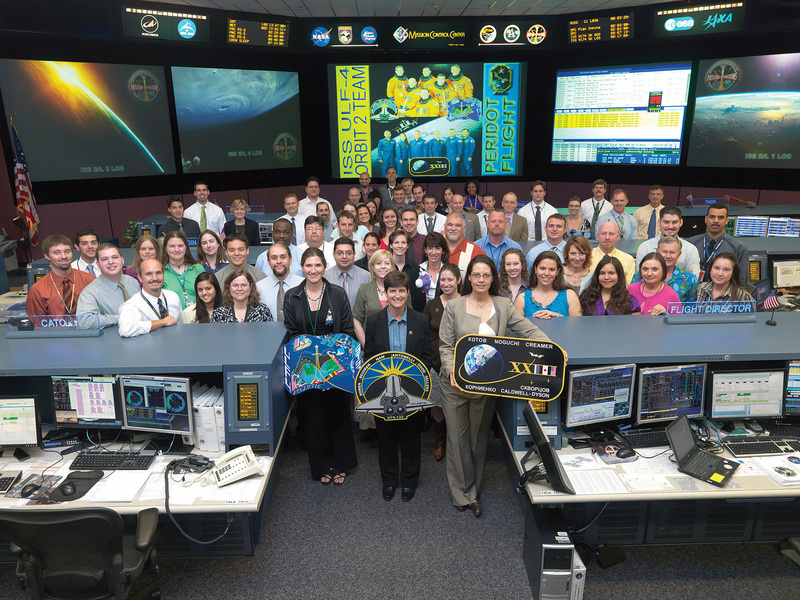 I was giving a friend a tour a few years ago, and that day, looking at mission control, she noticed it was a room filled with women. It is not unusual today due to the work of previous generations. Shannon Lucid, who was one of the most amazing astronauts ever, in my opinion, worked as a Capsule Communicator (CAPCOM) until her retirement last year. It was a great privilege to work with her in mission control. Q: What kind of advice would you give to the classic “underdog” student – the one that doesn’t have perfect grades, or thinks that they could never achieve this kind of position? Nelson: “First of all, do not ever let anybody tell you what you cannot do. Where I am concerned, math is just a language, all you have to do is learn it. Some people are not great at learning languages, but once you have learned how to add, it is just math from there on out and it is just a matter of time until you figure it out and learn to do it better. Obviously, math and science are important. I had to have an engineering degree for this position because I have to understand those principles behind the decisions I make. It is important that I understand how the world works to know what technical solution to solve a problem with. In operations, I have never designed something or never drawn up new plans. I have to figure out how to work with what we have got, and that is just problem solving. Problem solving is everywhere, and that is what engineering really is – learning how to solve the problems we encounter around us. To do the operations job well, you have to have good common sense, be observant of the world around you, and see solutions that are not obvious. It is not normal to have advanced degrees in this field, you do not need years in a lab studying, or working on a Masters or Ph.D – we need people who are creative and can find solutions that are not obvious. Actually, it is frequently the people who had some trouble with academics who end up doing well in this job. The thing that separates mission control engineers from others is the fact that in mission control, it is crucial that you communicate efficiently and effectively. You cannot be a bad communicator. You have to say what you mean in as few words as possible because you do not have a lot of time to work with. Because of this, you cannot just blow off English in school. We have people who have to go to classes to pick that up because they did not learn it in school. Whether it is presenting a complicated technical question to management about how to do something, or explaining the necessity for an action to a flight director in three minutes or less because that is all the time you have to move, these are essential skills. Q: Do you have final thoughts to share? As the conversation ended, I let her know that the work they do is appreciated, and that she is truly an inspiration. Because let’s face it, for anyone who has ever seen the International Space Station pass over them in the sky like a traveling star, it is natural to wonder who is watching over them, while they are up there watching over us.